The events of 1478 will long be infamous in the History of Florence. This was the year of the ill-fated Pazzi Conspiracy. Long discontent with the increasing power and influence of the Medici, members and allies of the Pazzi family plotted the assassinations of brothers Giuliano and Lorenzo de' Medici. 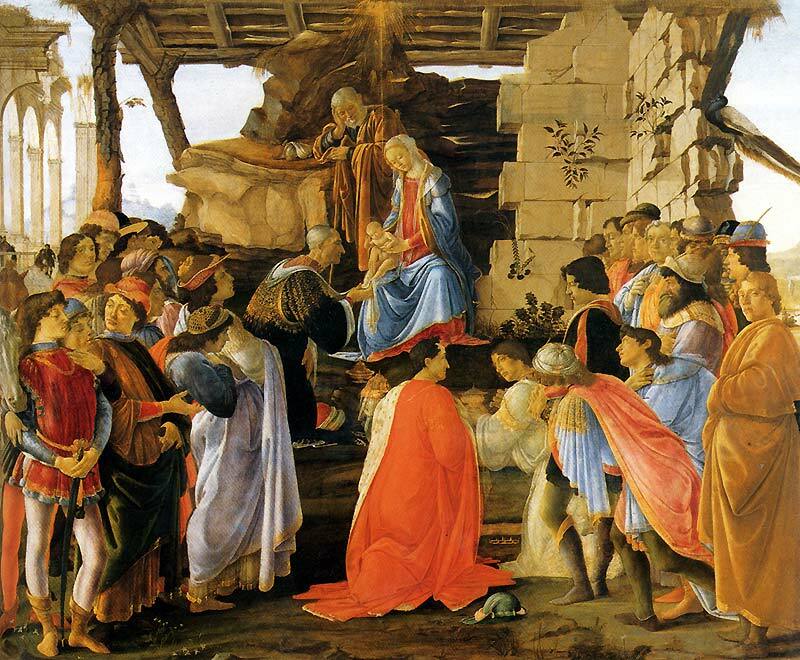 Readers of this blog will be quite familiar with Giuliano de' Medici, from his apparent love for Simonetta Vespucci, to his appearance in Poliziano's La Giostra and Botticelli's Venus and Mars. This is the story of Giuliano's death, and the gruesome retribution that followed. Remember Assassins Creed 2? As Medici Assassin, Ezio Auditore, you are charged with the elimination of some of the most notable Pazzi Contributors. Learning about History can be fun, and somewhat violent! The internet is full of wonderful, free resources for fans of History and Art. I recently came across this treasure whilst on a podcast scouting mission, and am delighted to share it here. Presenting this amazing story are Katie Lambert and Sarah Dowdy, hosts of the wonderful History Podcast at HowStuffWorks.com. There is also an accompanying blog and Twitter feed you can follow. Recently, Katie and Sarah have been discussing the Medici, with the podcast of The Pazzi Conspiracy being the first in the series. You can listen to the podcast in the player below or download it .mp3 format. You can also subscribe to the podcast via this RSS Link. If you enjoyed this podcast, it is worth listening to the follow up which focuses on Girolamo Savonarola, the fiery monk at the centre of The Bonfire of The Vanities. The Five Podcasts (as .mp3 links below) which comprise the Medici Series are listed below. Part 3 may of course be particularly interesting to Art fans. 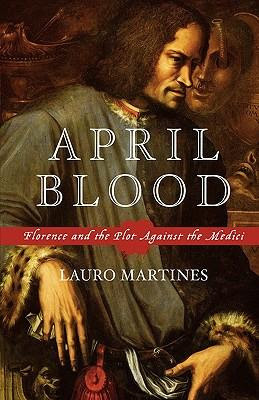 Lauro Martines' April Blood: Florence and the Plot Against The Medici is a fascinating exploration of this tumultous event. Also worth a mention is the more recent The Montefeltro Conspiracy, by Marcello Simonetta, which uses some archival evidence to shed light on the extended nature of the plot against the Medici. I'm glad that you embedded the podcast directly into your post! I've listened to a good portion of it, and I'll be sure to return and listen to more! 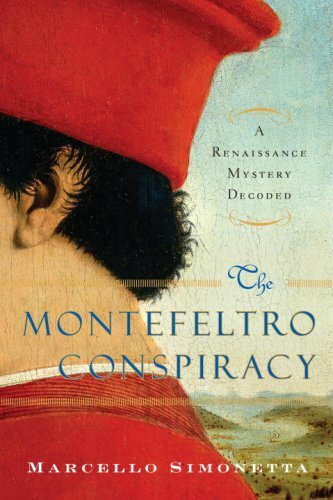 The Montefeltro Conspiracy book looks really interesting, too. I'll have to check it out. Cheers M! I wish blogger made it easier to embed audio. We have to use third party players/widgets, though it would be nice to have something built into blogger.